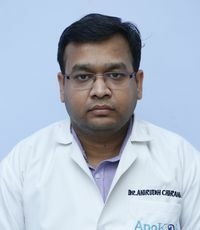 Dr. Chirania briefly practised as a House Surgeon in Chest Medicine, before presiding as Senior Registrar (PM&R) at Kothari Medical Centre, Kolkata in 2015. He’s currently working as a Junior Consultant at ApoKOS Rehabilitation Hospital, Hyderabad. Dr. Chirania is keenly interested in assessing the role of peripheral exercise in rehabilitation of COPD patients and has also published a paper on the same at IAPMRCON 2013, Bengaluru. He also addressed at the IAPMRWB State Conference 2013 on the role of different exercise regimen in COPD Rehabilitation.